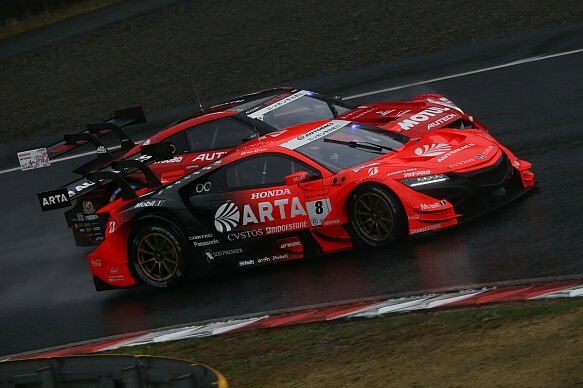 Jenson Button and Naoki Yamamoto's Super GT title defence got off to a bad start with their car being hit by another Honda while leading the rain-truncated Okayama opener. Nissan had dominated Saturday's qualifying with a new lap record, but the wet conditions that prevailed on Sunday played into the hands of the Honda runners. 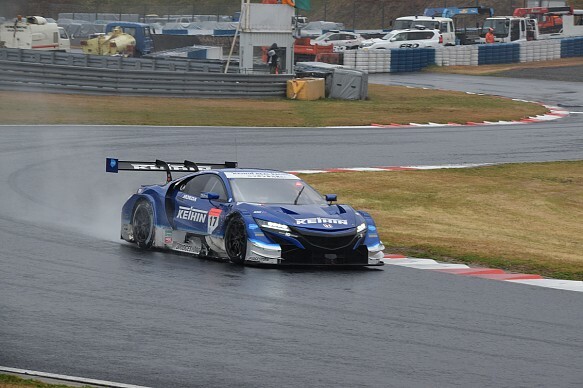 Just as the Hondas started extending their advantage at the front, several GT300 cars crashed at the Moss S corner as the rain intensified - bringing out the red flags. With the help of the marshals, Yamamoto's car was pushed out of the gravel and he was able to rejoin the race a lap down. Tsukakoshi and Bertrand Baguette's Real Racing entry was handed a penalty for the incident with the Kunimitsu Honda, dropping them to second-to-last.